Depending where you live, the dog days of summer may still be here. When things heat up, the boys and I like to cool down with cold items. 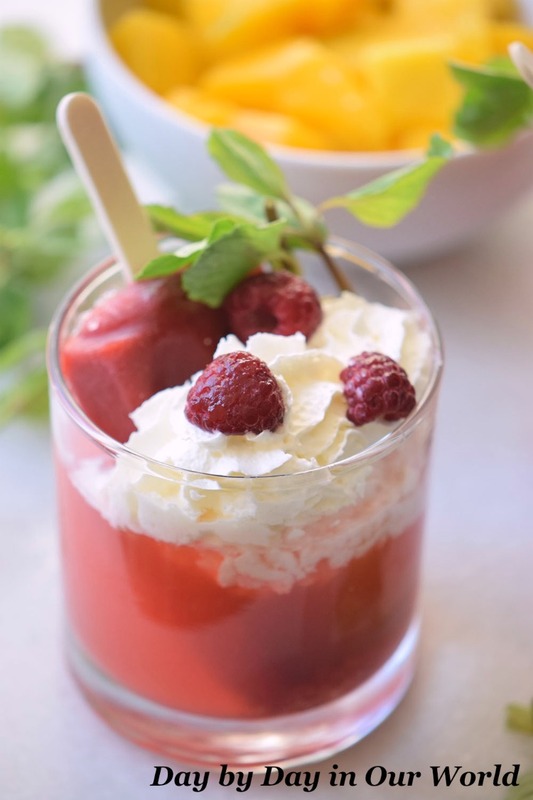 Whether it is just for fun or at a summertime gathering, this Raspberry Float is sure to delight everyone. This drink is super simple to make. Just grab all your ingredients and a blender. Then pick pour into the cup and top with some fresh whipped cream and a few fresh raspberries. Within a few minutes, you’ll have some happy campers. I know that on a hot day, my boys would be all for one of these to drink! In a blender, blend water, raspberries, and sugar. Strain raspberries juice and pour into glasses. 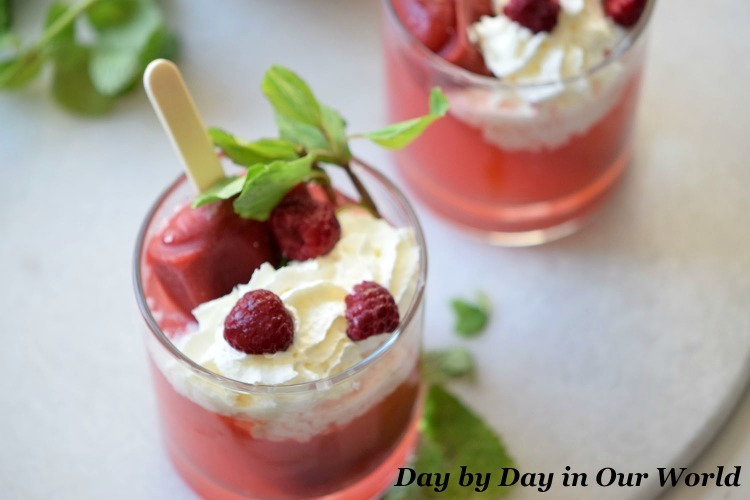 Serve with raspberry popsicle and enjoy. Add ice into the the blender for a refreshing cold drink. 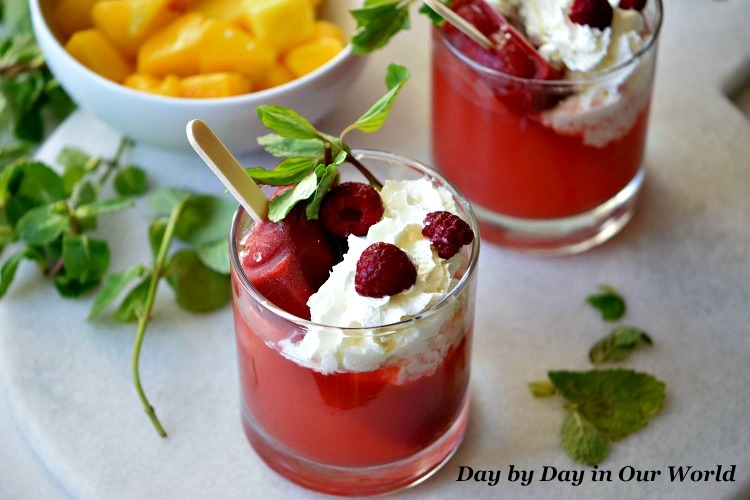 While this recipe uses raspberries, you could easily make a similar beverage with another fruit as the base. When would you make a Raspberry Float? How do you cool off on hot summer days?